A month ago the first trace of the new Radeon HD 8000 series was found in the Lenovo desktop. Only to be followed with the official launch of the HD 8000 OEM series few days later. Since then, we know that Radeon HD 8000 OEM series are nothing new, just a typical rebrand of the current series. But there was also confusion caused by the very unfortunate naming of those graphics cards. 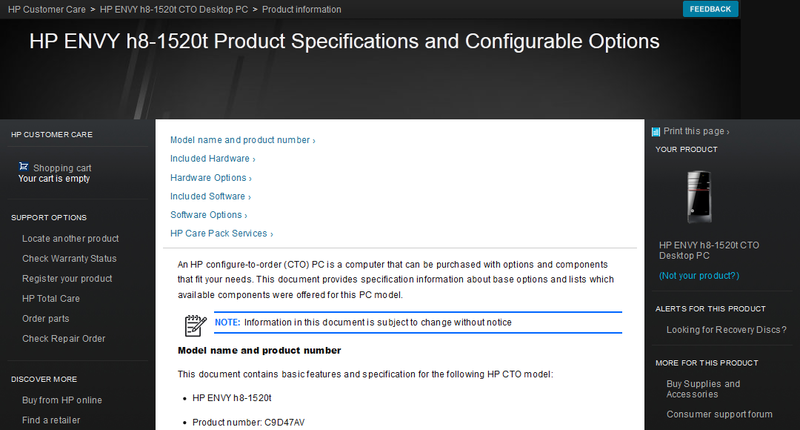 Nevertheless, it appears that HP is also preparing their desktops for the official launch of the “new” HD 8000 series. Just not the ones we were expecting. 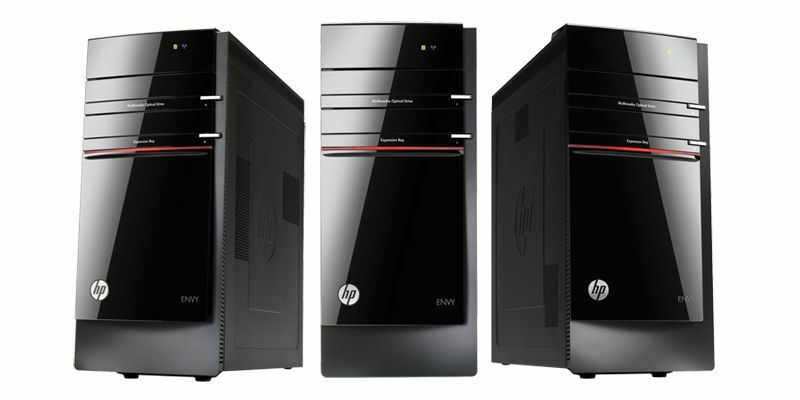 HP will also use the OEM version of these anticipated models, that’s only if you consider HD 8570 and HD 8760 to be such cards. So the HP ENVY H8-1520T codenamed C9D47AV, which is already available for purchase, is offering multiple configuration of the system, including twelve graphics cards. But before you go and order anything, let me just remind you that both the HD 8750 and HD 8760 are not yet available to choose. Other specs quite typical for an OEM desktop, Intel i7 3770(K) processor, 8GB of DDR3 RAM and Radeon HD 7570. That’s the starting configuration for $799. There’s even an option to include 32GB of RAM, but that actually doubles the price. 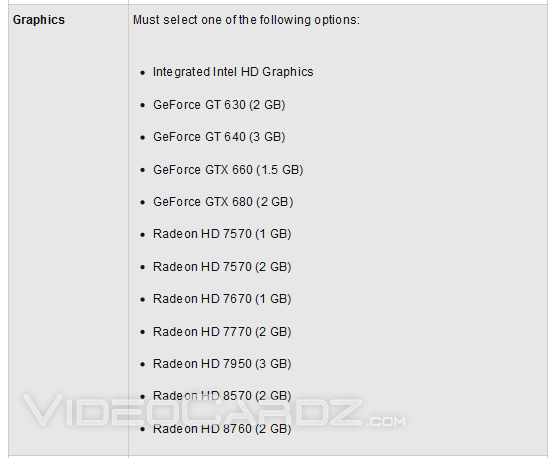 There is no option for Radeon HD 8570/8760 there, so we are not sure if those will actually be offered for the old price of their predecessors, actually rebrands from the current series. You can check this information by following this link. Needless to say, it doesn’t really make any difference. 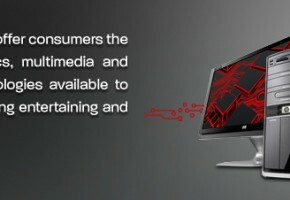 Since we already knew that AMD is almost ready to officially launch its new/old series under a new name. However, this also suggests that the postponed launch of the original Radeon HD 8000 series is even more probable than we’ve thought. Many thanks Dave for a tip!